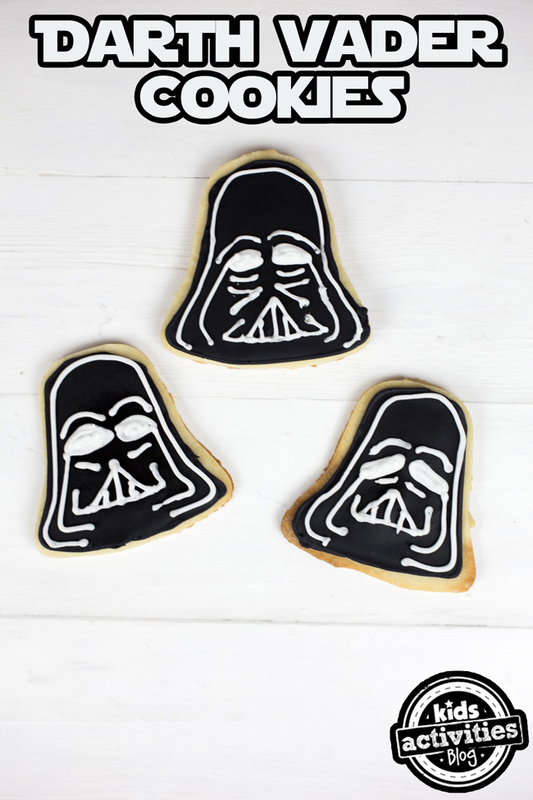 Darth Vader Cookies are an easy Star Wars treat that kids love — and you don’t even need a special cookie cutter to make them. Have you noticed that the shape of Darth Vader’s head kind of resembles a bell? Well, pull out those Christmas cookie cutters and let’s get to baking! My son loves all things Star Wars, and he was so excited about these cookies. We made them along with some other Star Wars crafts for kids to celebrate the release of Star Wars: The Force Awakens. Use the bell cookie cutter to cut out shapes from your dough. 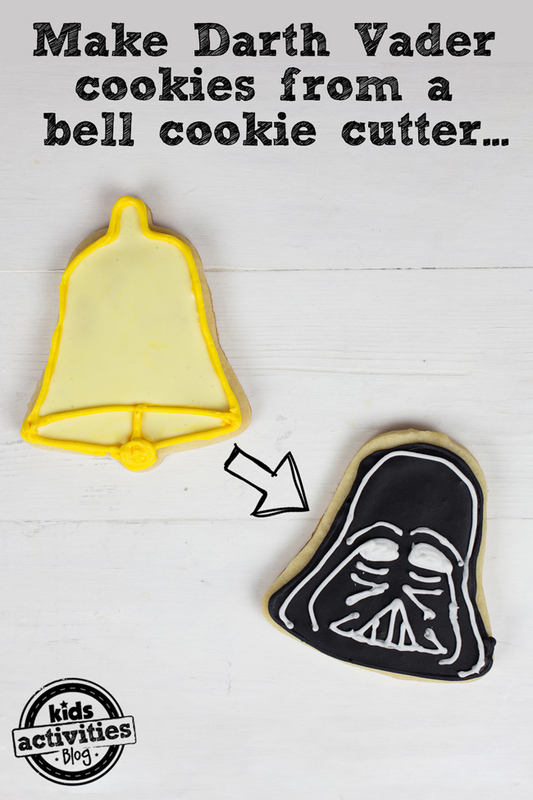 Cut off the top part of the bell, along with the “clacker.” This leaves your cookies in the perfect shape for Darth Vader’s head. Now, it’s time to bake your cookies! Bake them according to your recipe. Hint: Freeze for 5-10 minutes before baking to help the cookies hold their shape inside the oven. Once the cookies are done, set them on racks to cool completely. 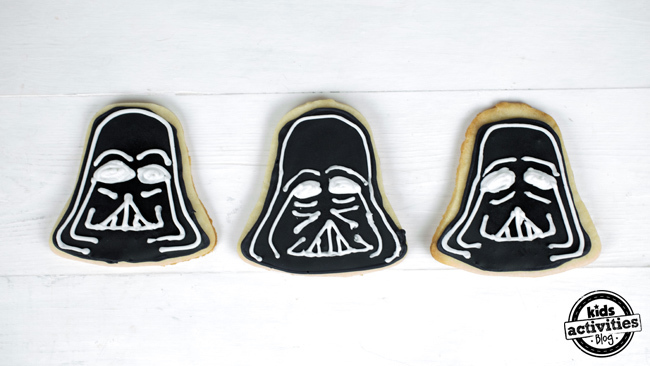 Use the black royal icing to pipe an outline around Darth Vader’s head, then flood with black icing. Allow to dry, then add details with the white royal icing. You could even make some light saber frozen pops to go with them.